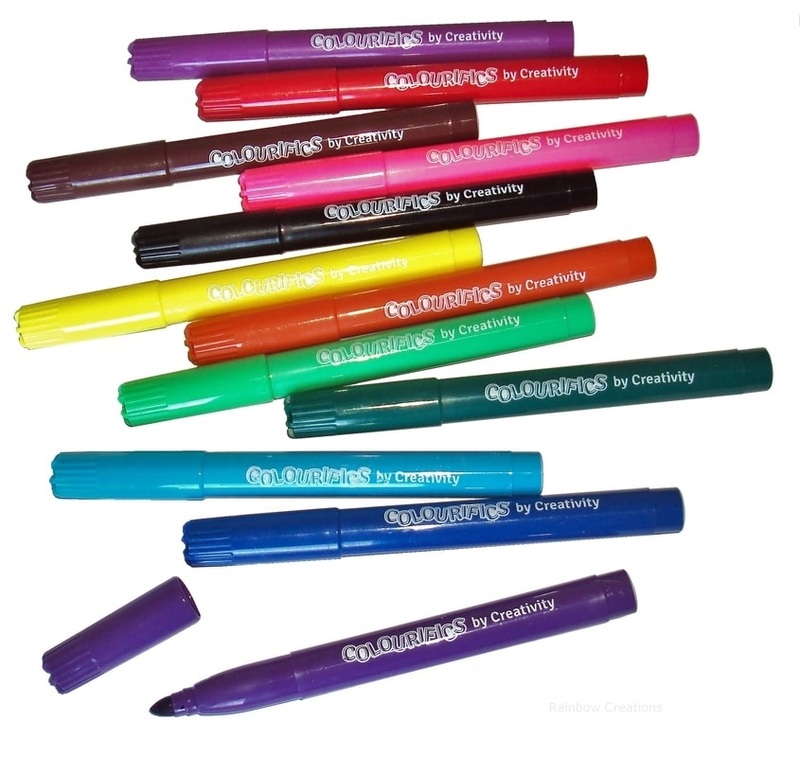 12 felt tips for children, which are super washable. 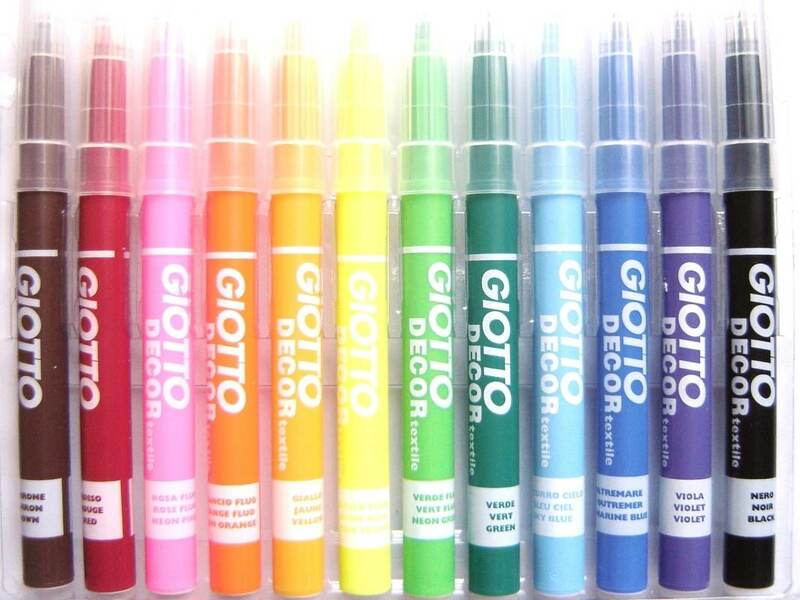 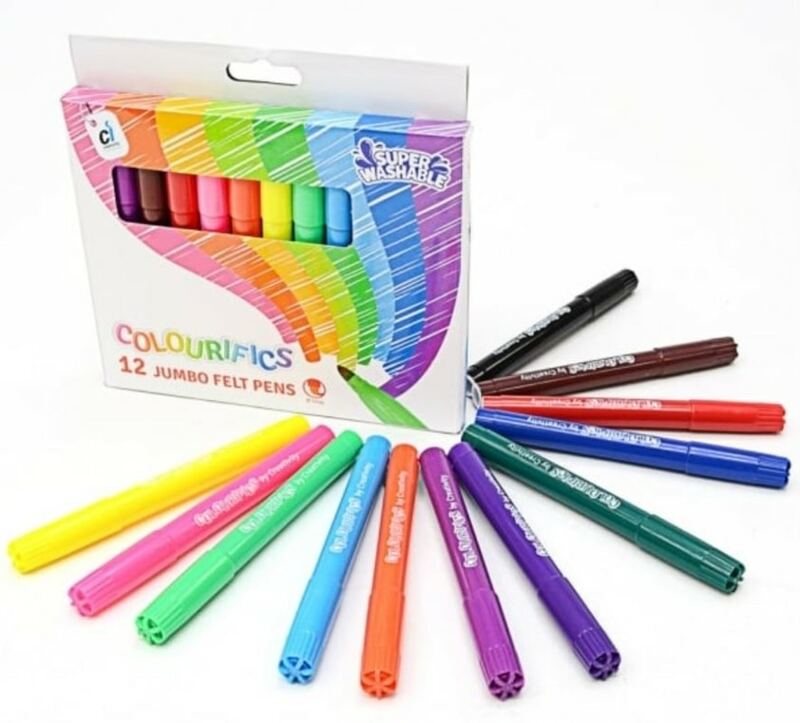 These Colourific felt pens have jumbo sized tips and a ventilated safety caps. 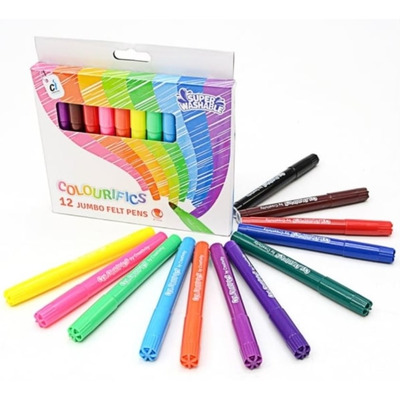 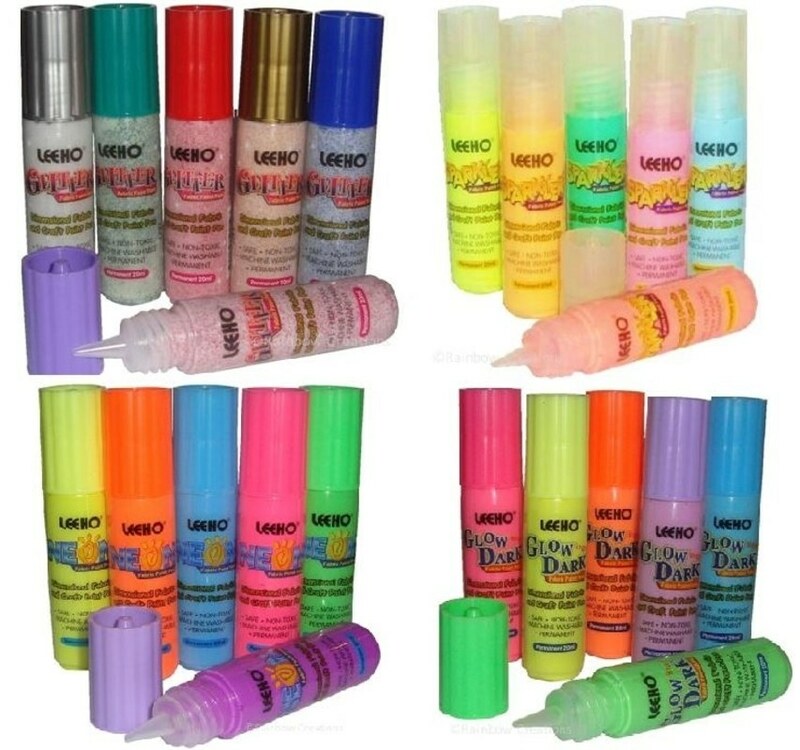 Supplied in a pack of colours which include yellow, pink, light green, light blue, orange, purple, mauve, dark green, blue, red, black and brown. 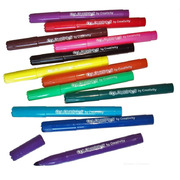 The ink in the pens washes out of clothing easily at low temperatures, if necessary, as the ink is water based.